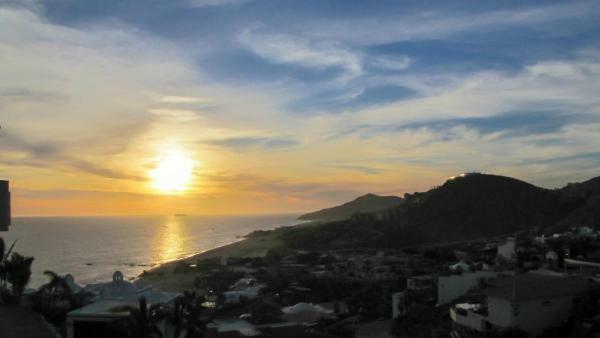 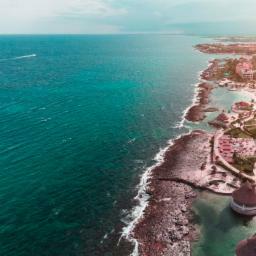 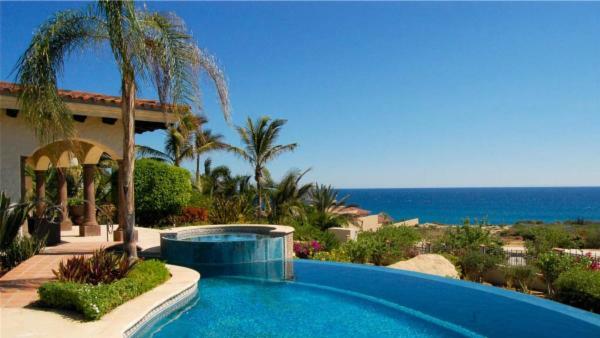 Puerto Los Cabos is a 2,000 acre planned resort community. 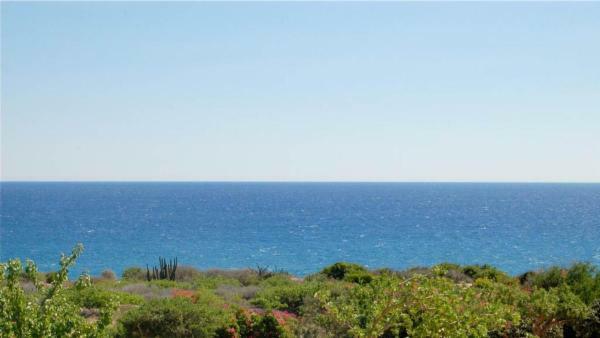 The community includes gated residential neighborhoods, golf courses, a world-class marina, botanical and sculptural gardens, and the Puerto Los Cabos Club. 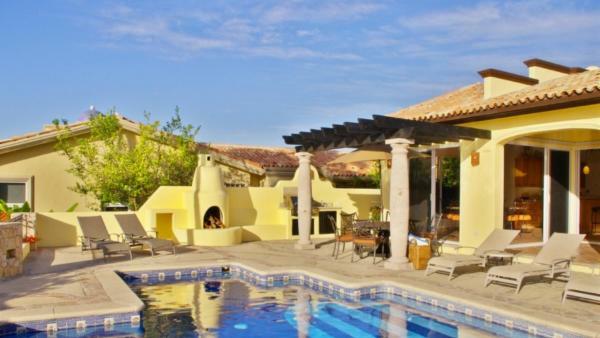 The community is located just outside of San Jose del Cabo, which beckons with its 18th-century Spanish colonial architecture and laid-back local scene. 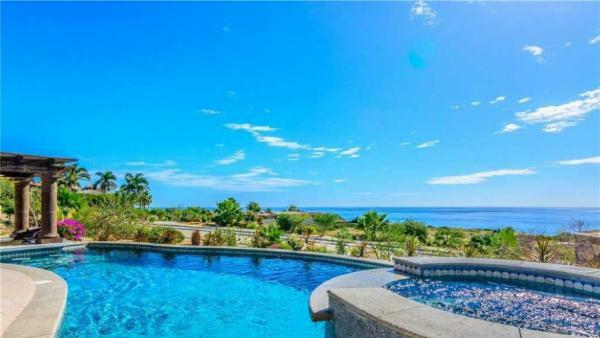 Activities in San Jose del Cabo include SCUBA diving and kayaking in Cabo Pulmo Marine Park, home to the Sea of Cortez's only hard coral reef and the wreck of the fishing boat Colima. 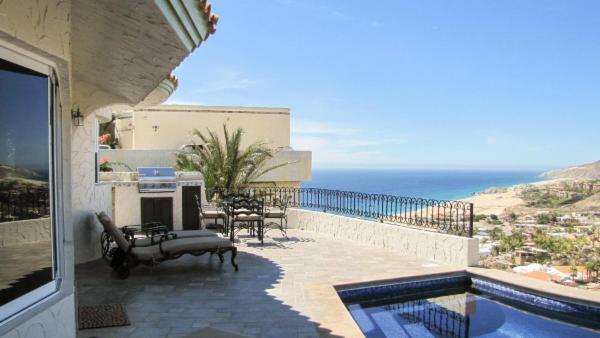 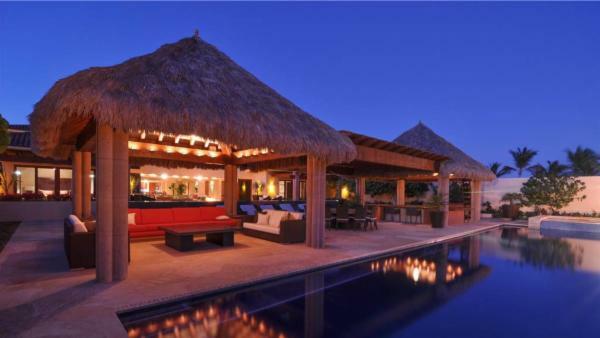 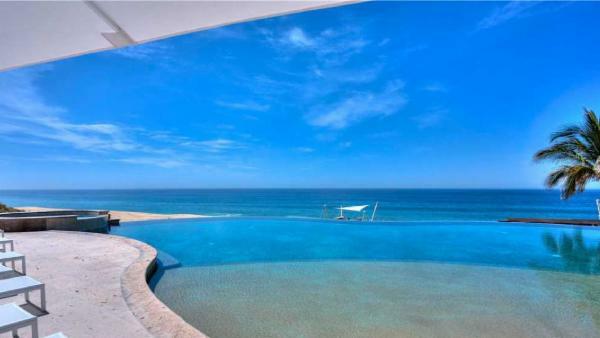 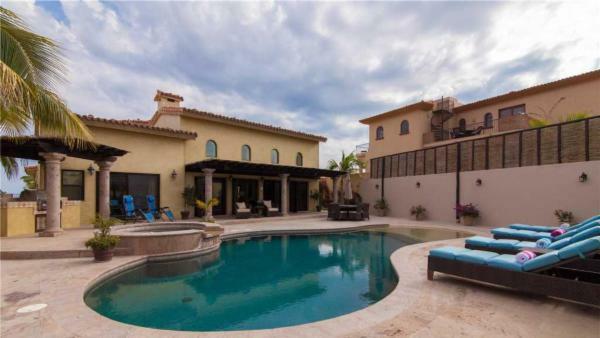 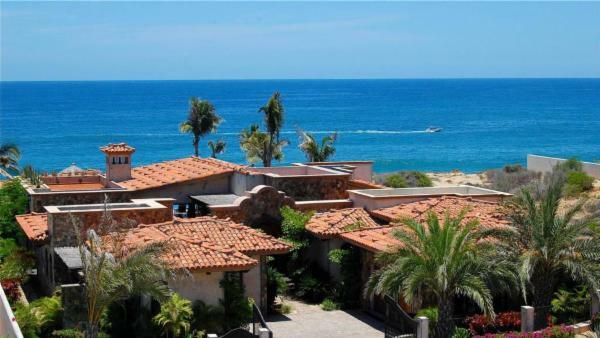 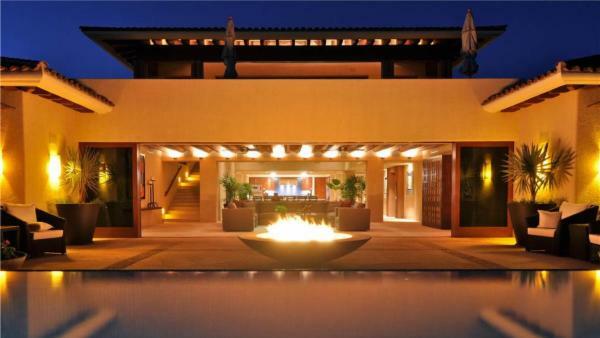 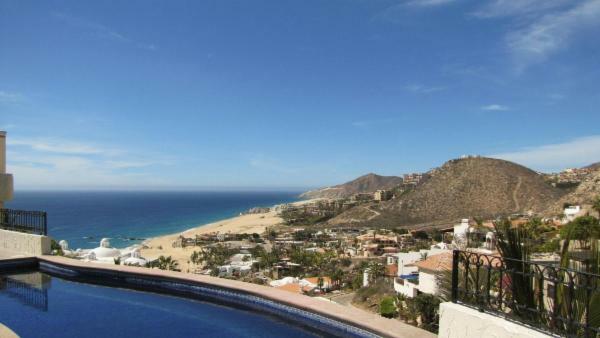 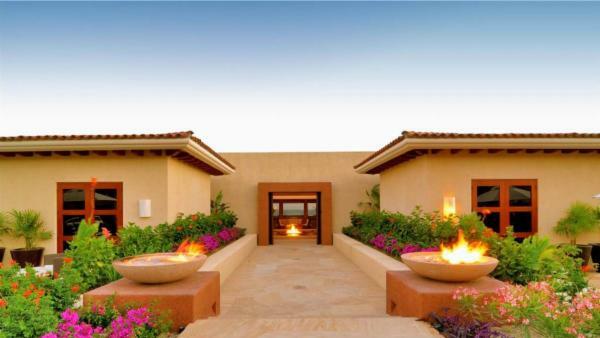 Luxury abounds in the many vacation villas of Puerto Los Cabos. 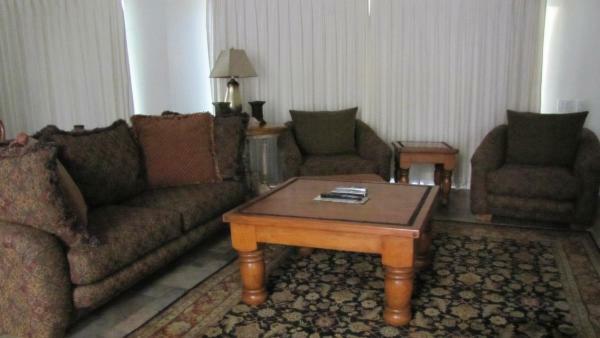 Our selection of rental properties ranges from 4 bedrooms and 3 baths to 7 bedrooms and 9 baths. 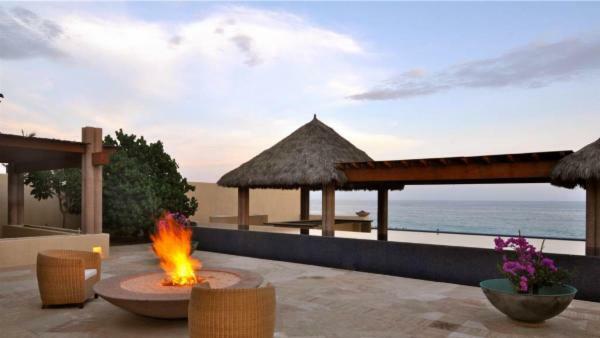 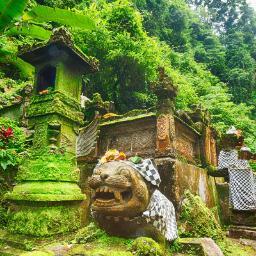 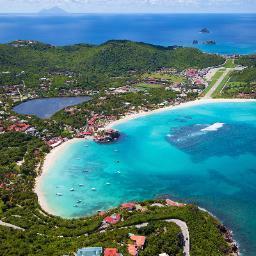 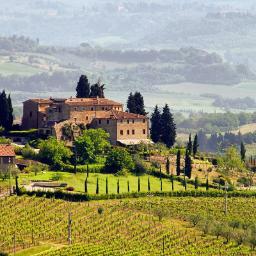 In each, you may expect a level of unsurpassed grandeur. 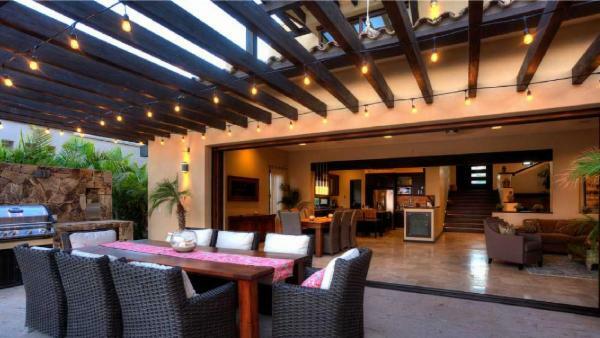 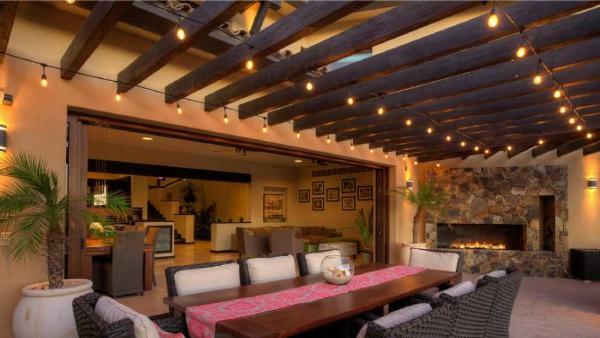 Bring the outside in with multiple indoor/outdoor living and dining areas, each sumptuously furnished. 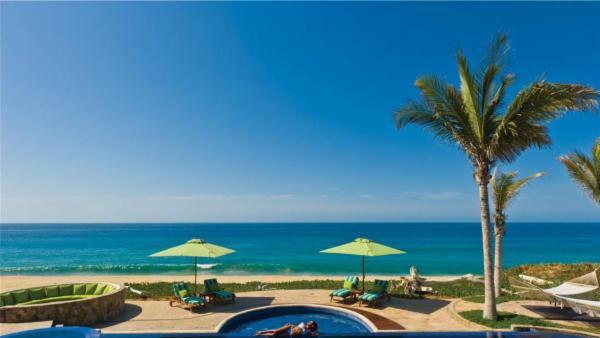 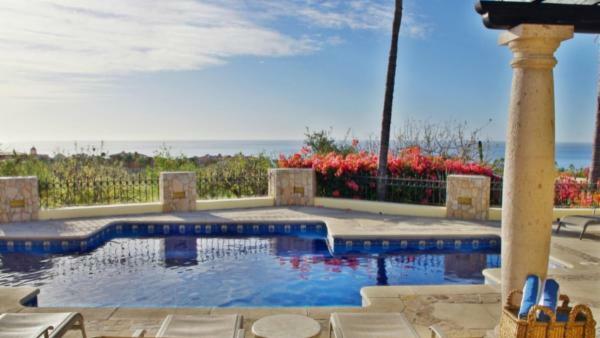 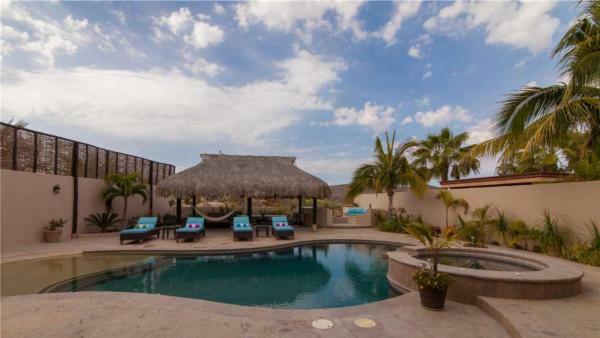 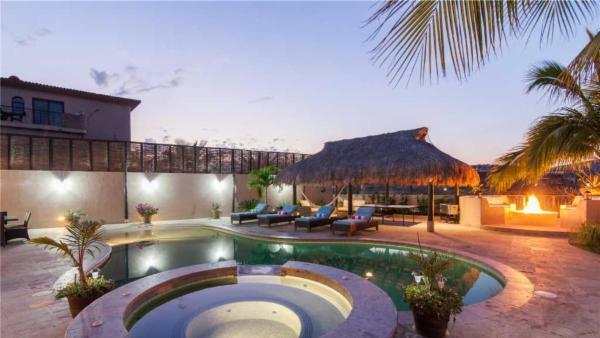 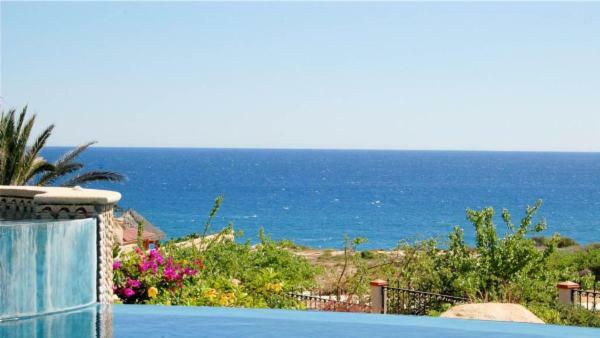 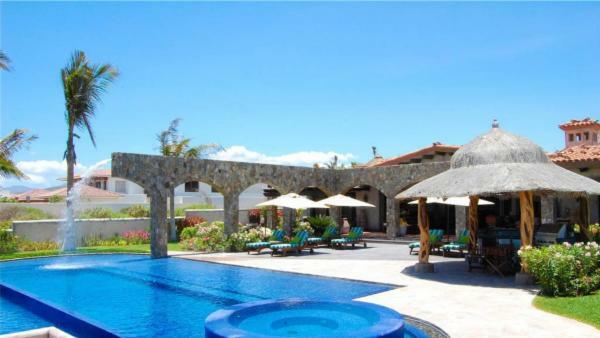 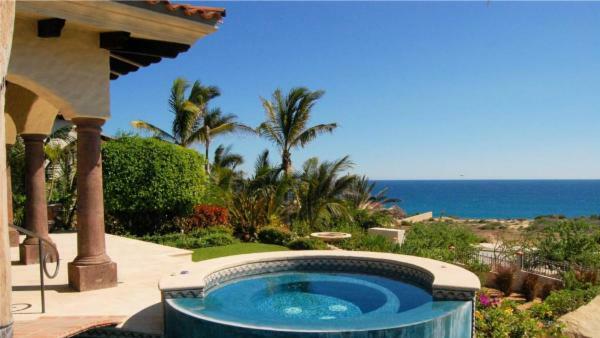 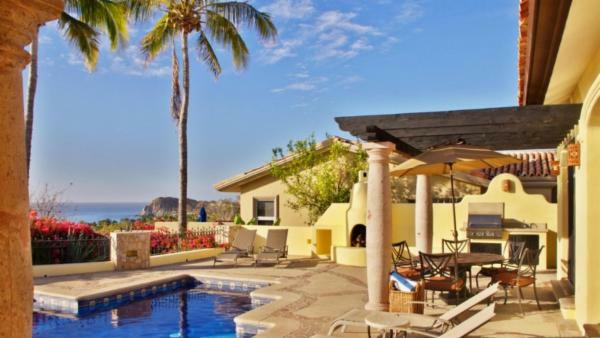 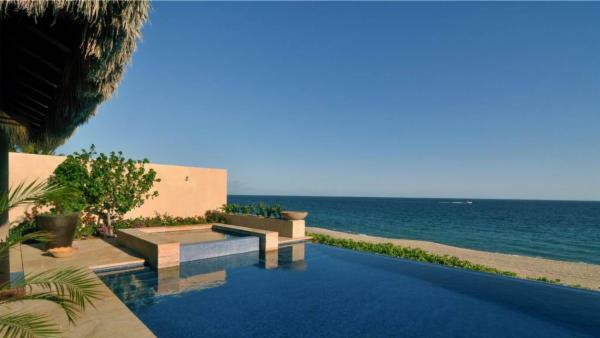 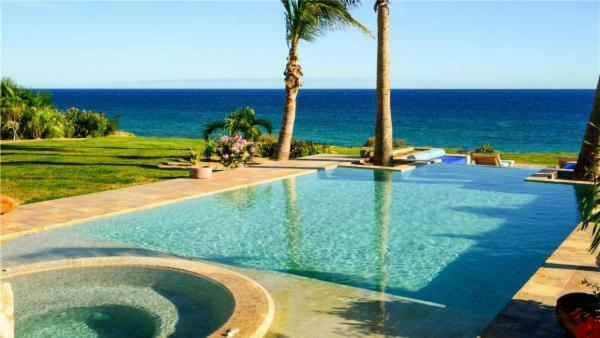 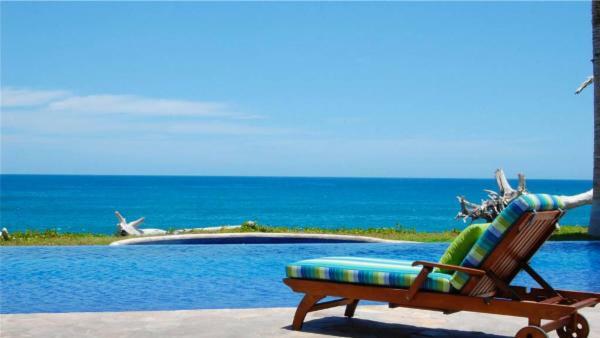 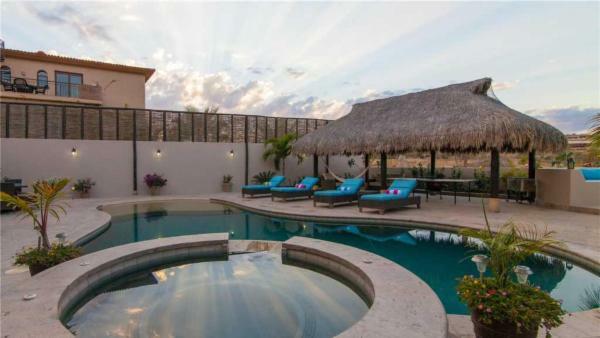 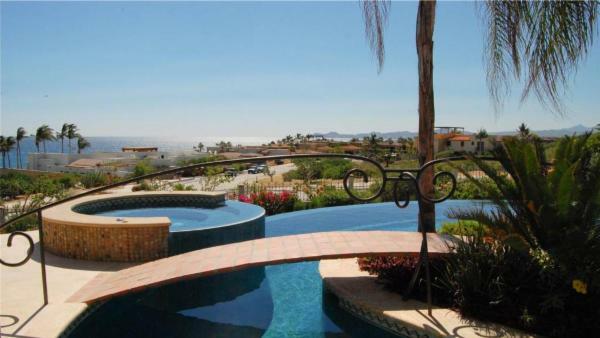 You’ll also enjoy private pools with built-in hot tubs and gorgeous views of the Sea of Cortez. 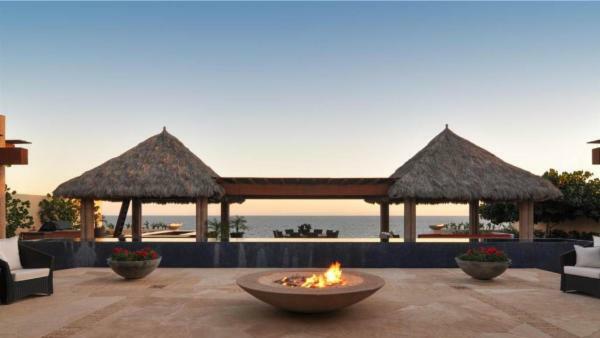 Sound systems fill the air with your favorite music. 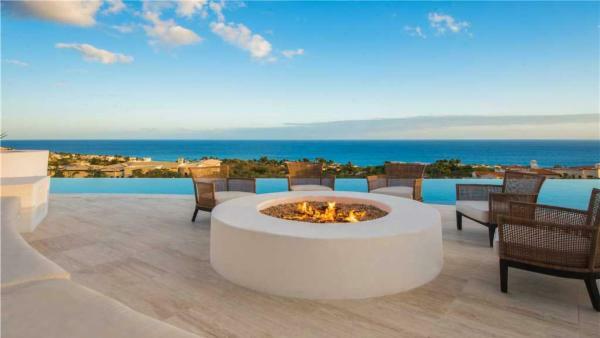 Fire pits fill the cool night air with warmth. 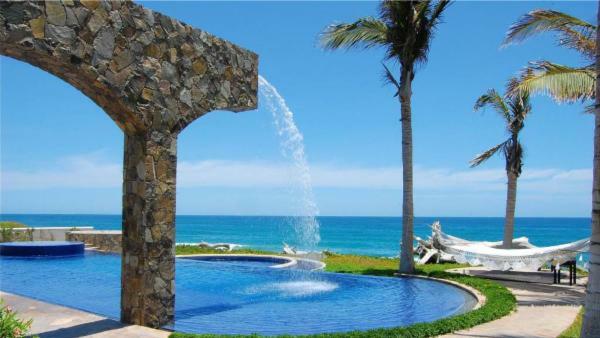 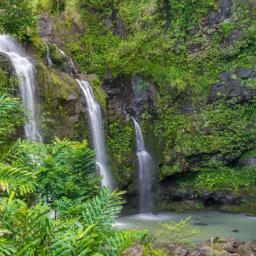 Water features promote peace and tranquility. 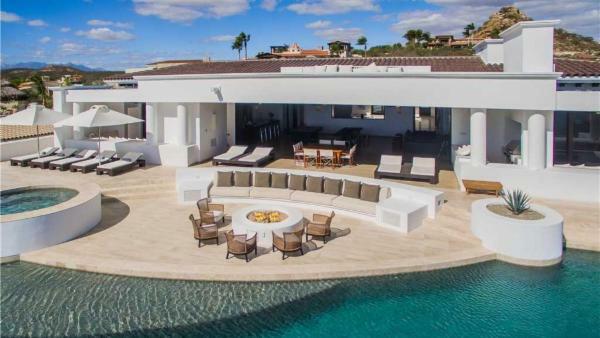 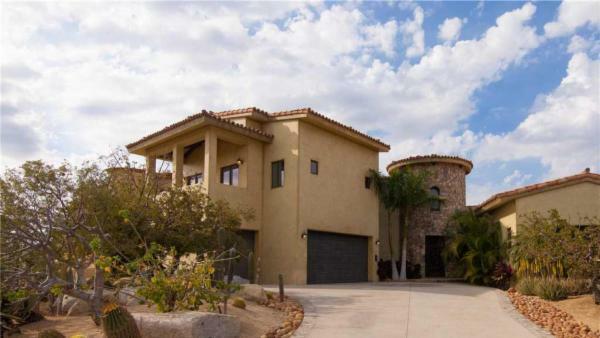 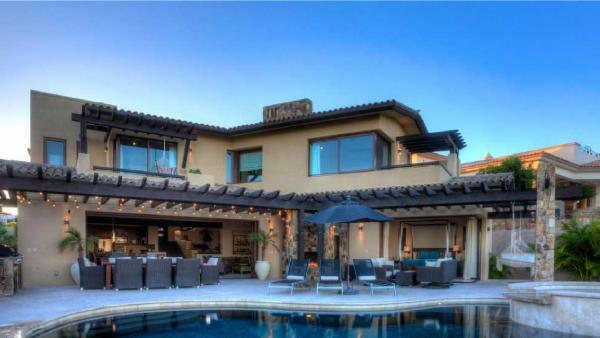 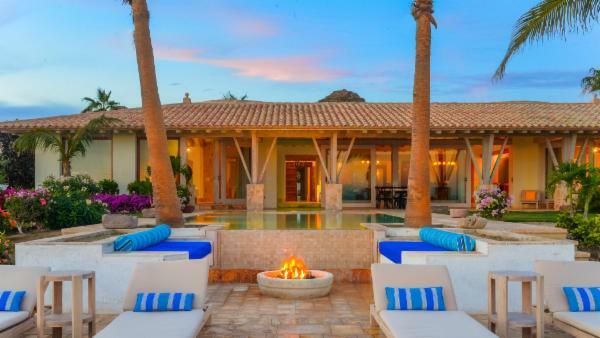 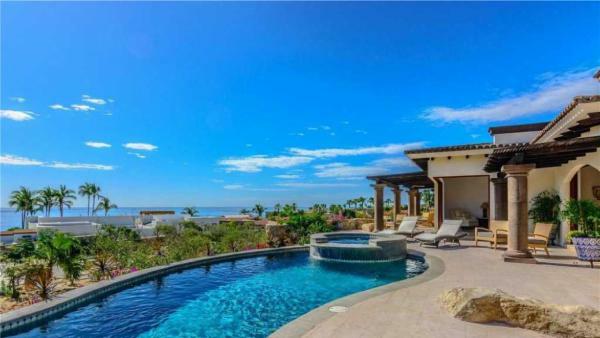 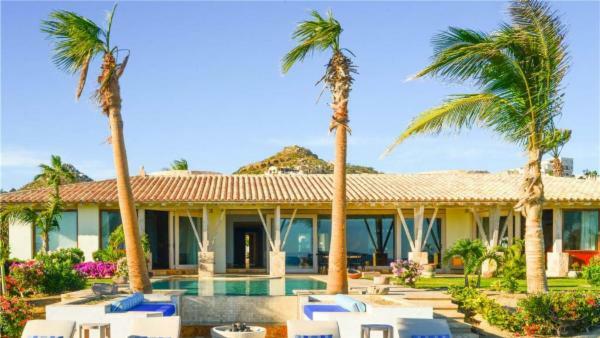 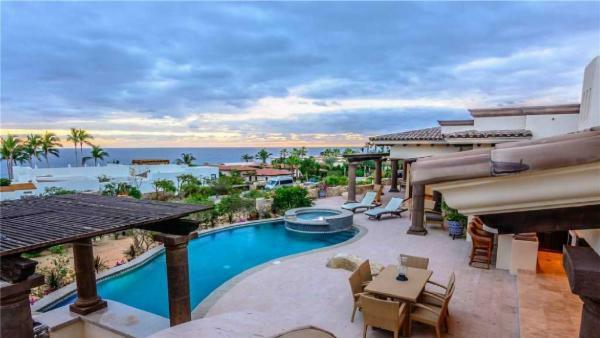 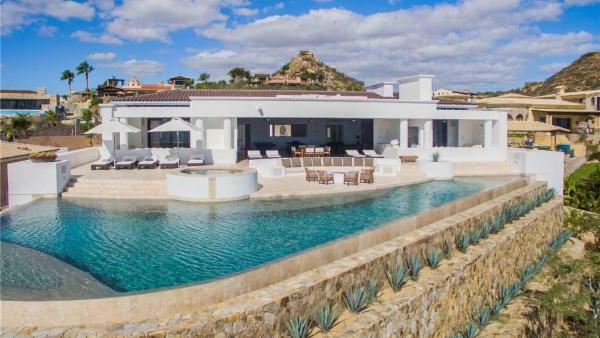 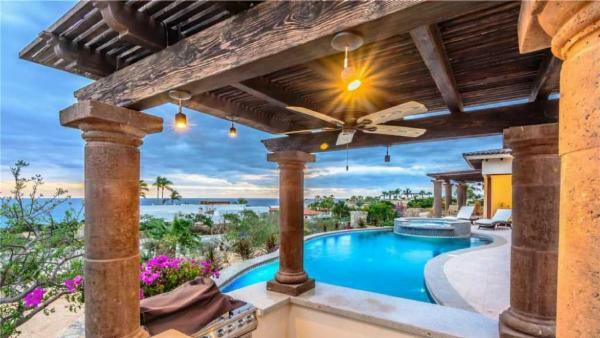 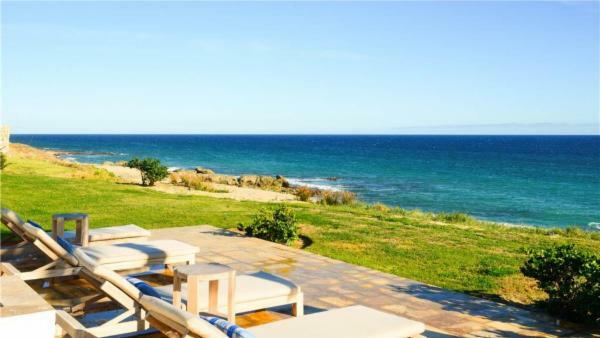 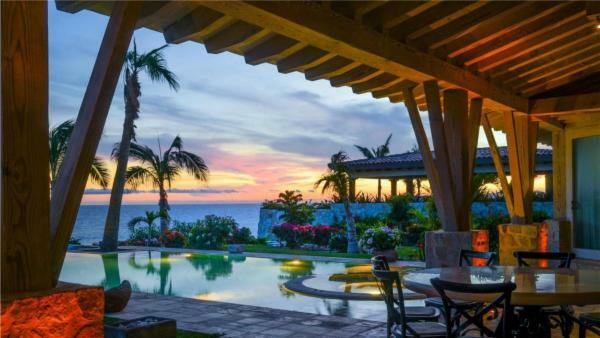 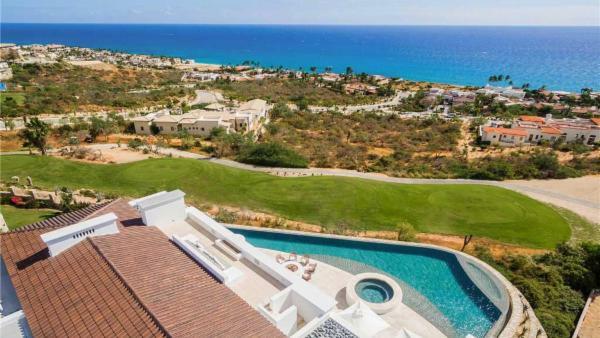 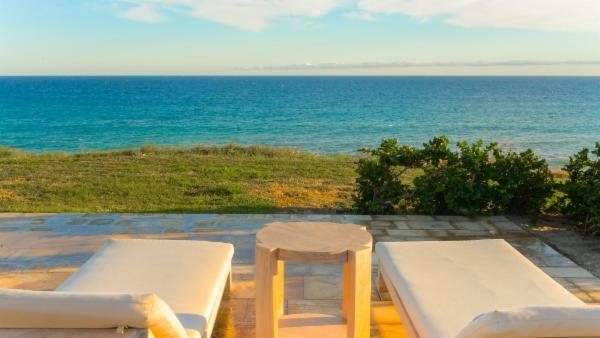 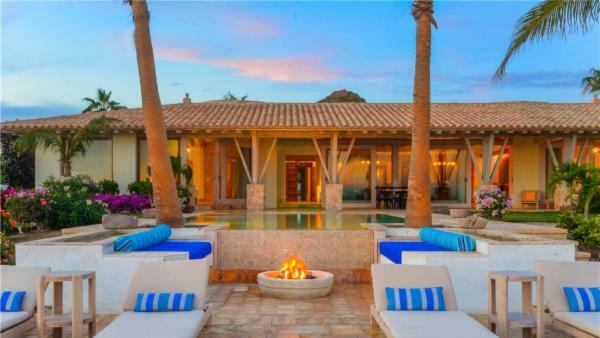 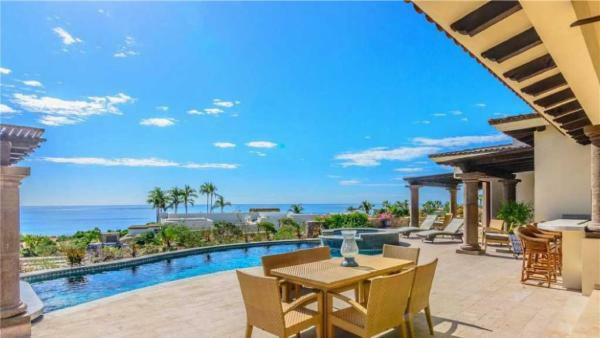 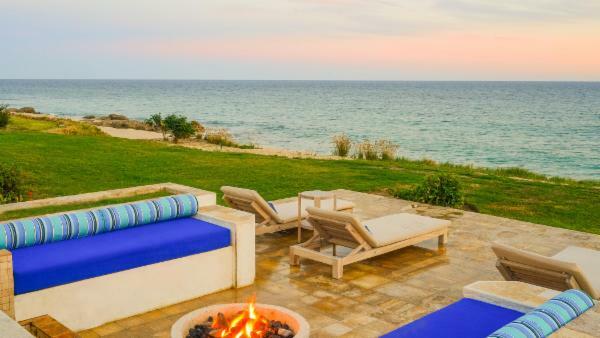 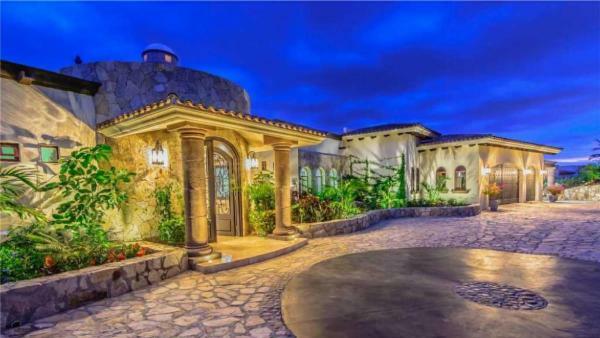 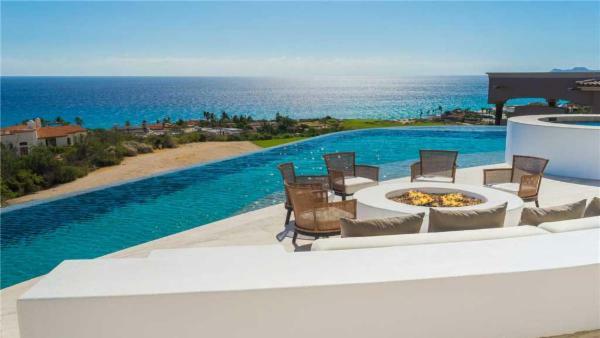 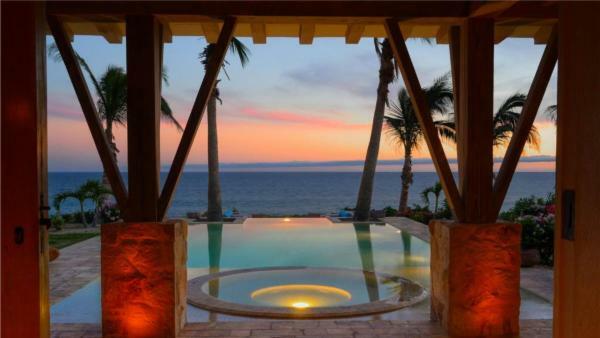 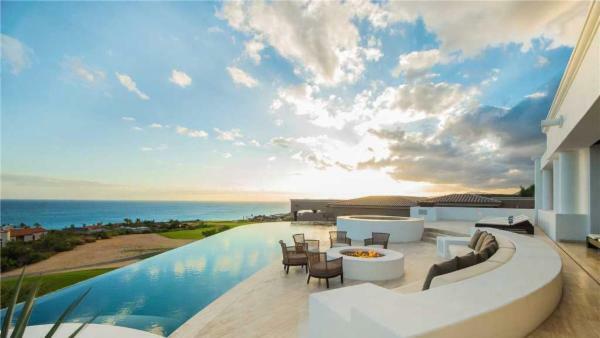 Inside Puerto Los Cabos’ most luxurious rental homes, enjoy amenities like private home theaters, wine tasting rooms, game rooms, vaulted wood-beamed ceilings, extensive use of marble, stone and travertine. 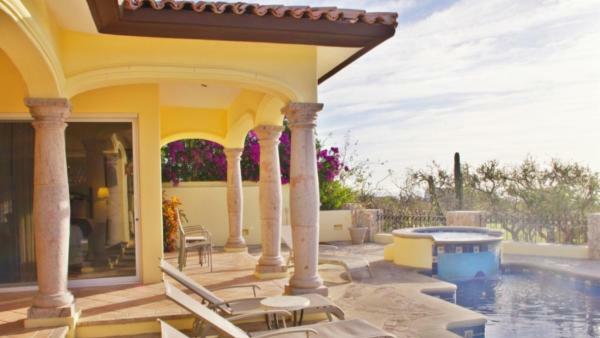 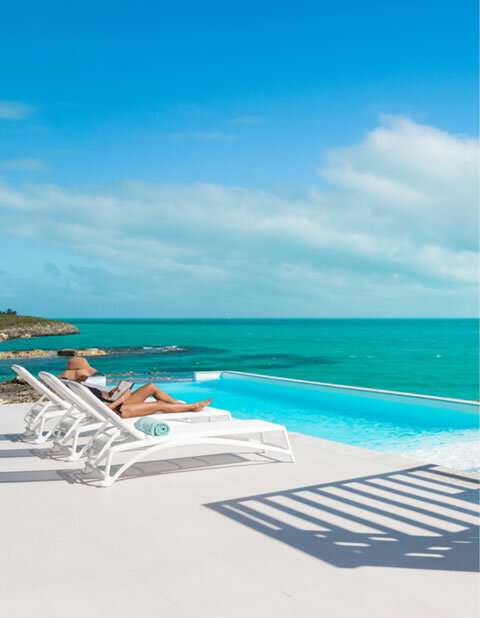 Bedrooms are sanctuaries, with large, private outdoor patios and bathrooms offer Jacuzzi tubs and oversized showers. 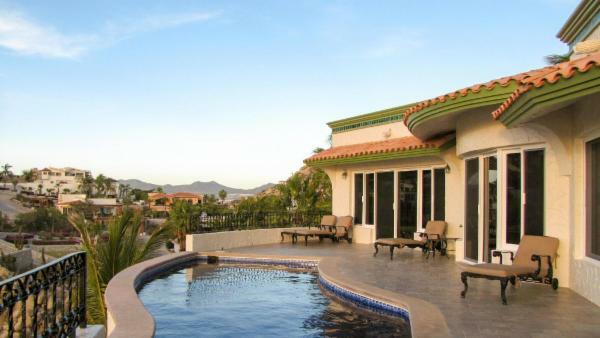 As the resort is known for its golf course, perhaps you’d like to start your stay with a round at Puerto Los Cabos Golf Club. 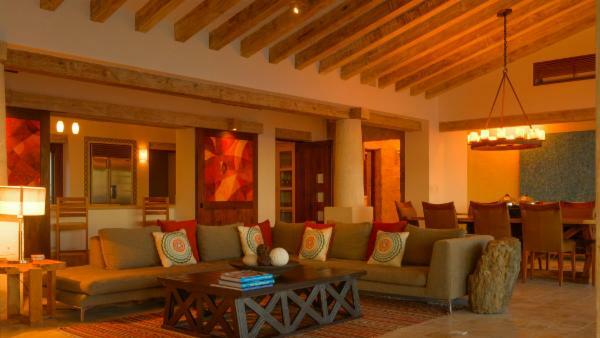 If you choose to make your way into San Jose del Cabo, art aficionados will appreciate both the Frank Arnold Gallery and the Ivan Guaderrama Art Gallery. 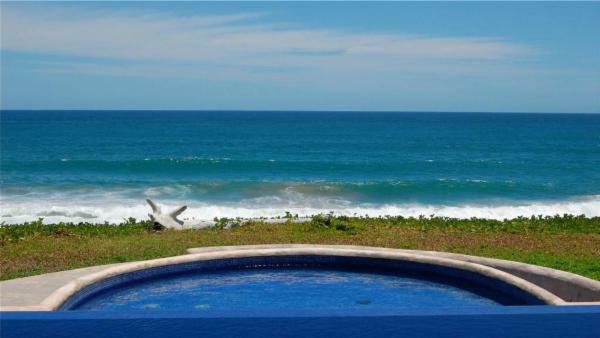 Nature and wildlife lovers will enjoy a visit to San Jose’s Estuary and Bird Sanctuary. 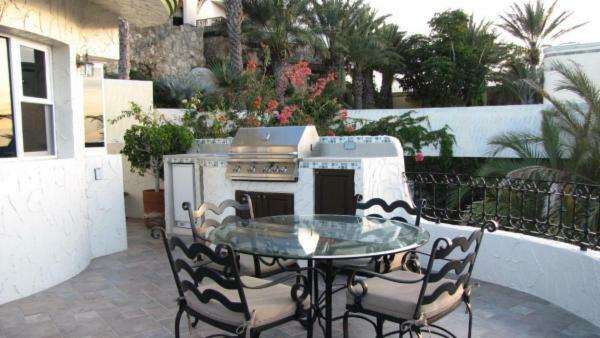 Share a family meal in San Jose del Cabo. 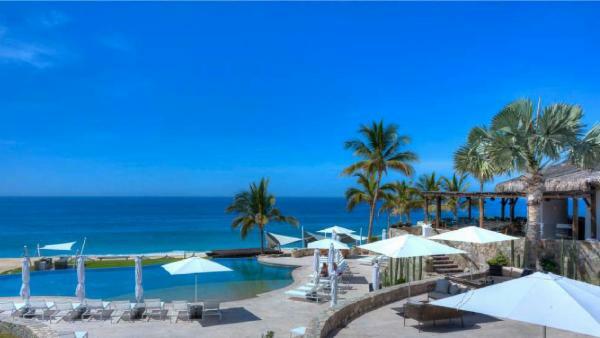 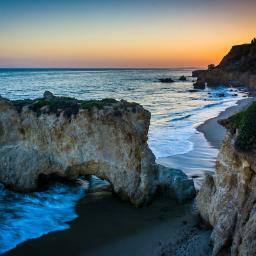 A few recommended restaurants include El Matador, known for its chateaubriand and lime pie. 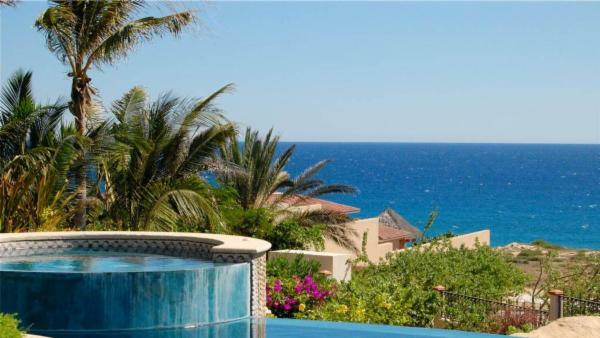 Cafe Des Artistes Los Cabos is known for its tasting menu and creme brulee and La Revolucion. 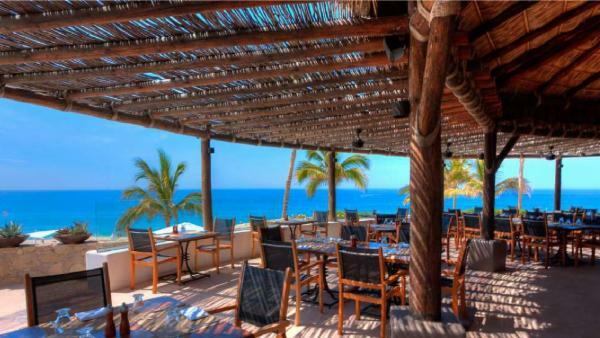 Comedor de Baja California, known for sea bass and sashimi.